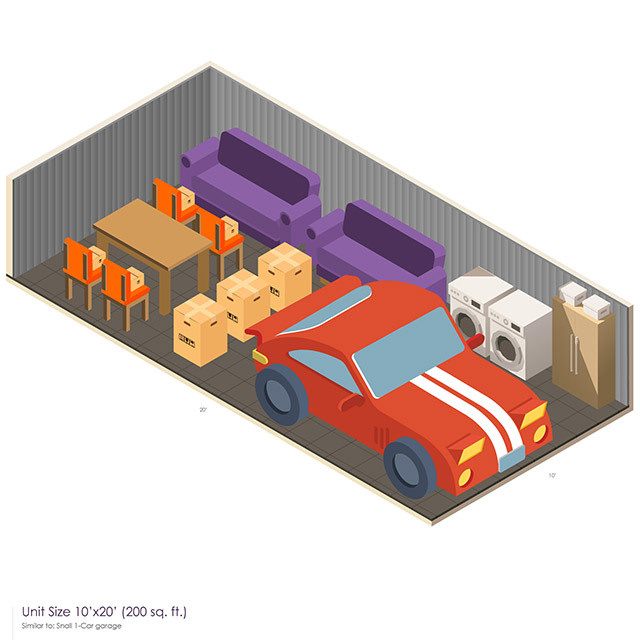 At EZ Storage®, we try to take the guesswork out of renting. 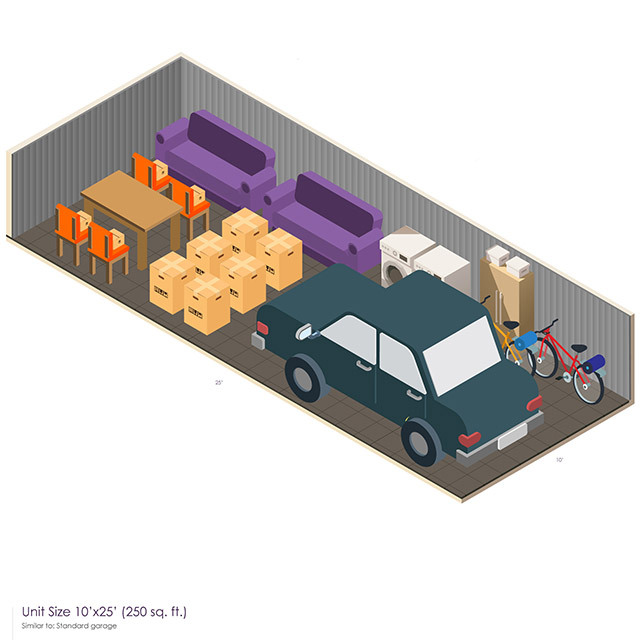 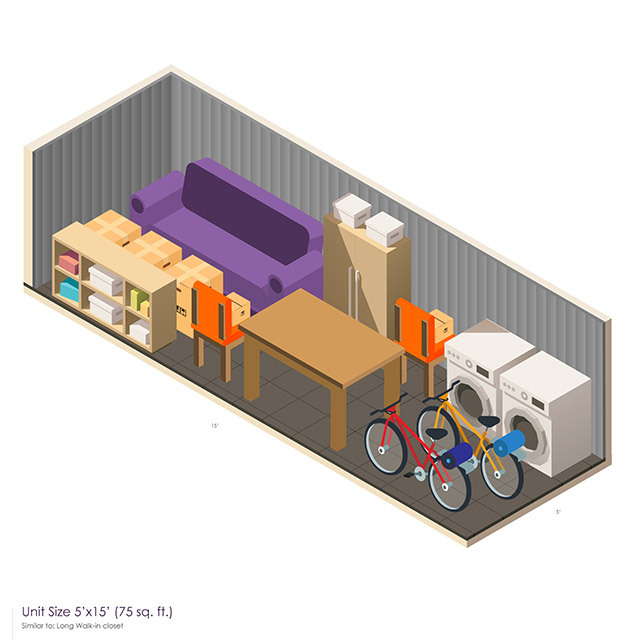 Our EZ Space Guide to help you determine the amount of space you may require. 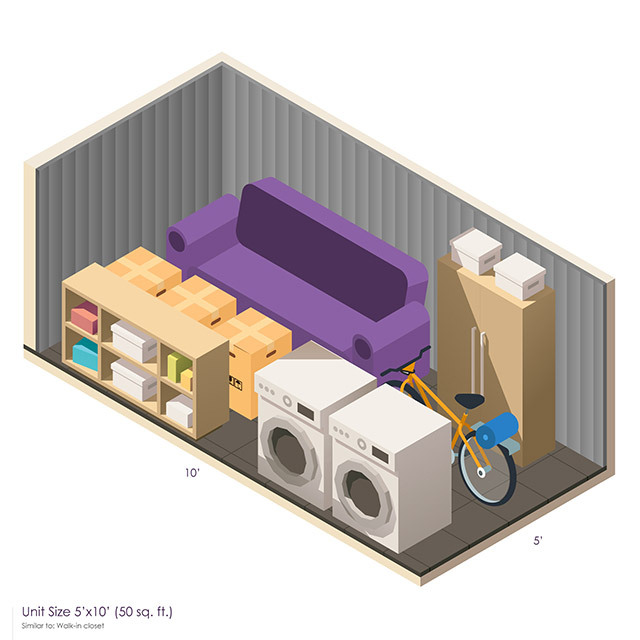 If you're still not sure, simply bring a list of your belongings to any EZ Storage Center®. 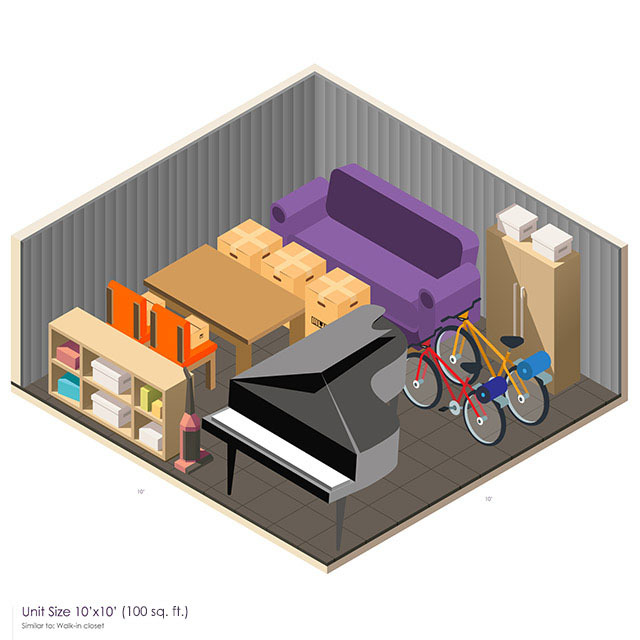 Our professional storage advisors will recommend the right-sized space and will give you helpful suggestions on maximizing the space in your storage unit. 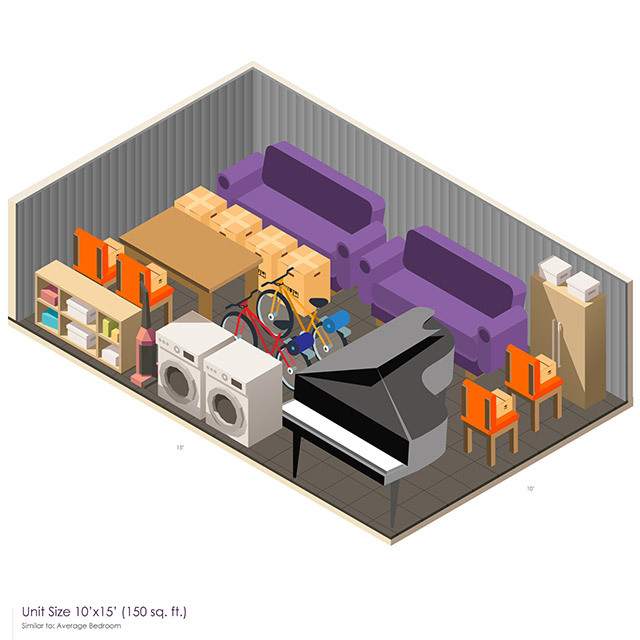 At most EZ Storage Centers®, you'll find about 8 different sizes of storage spaces. 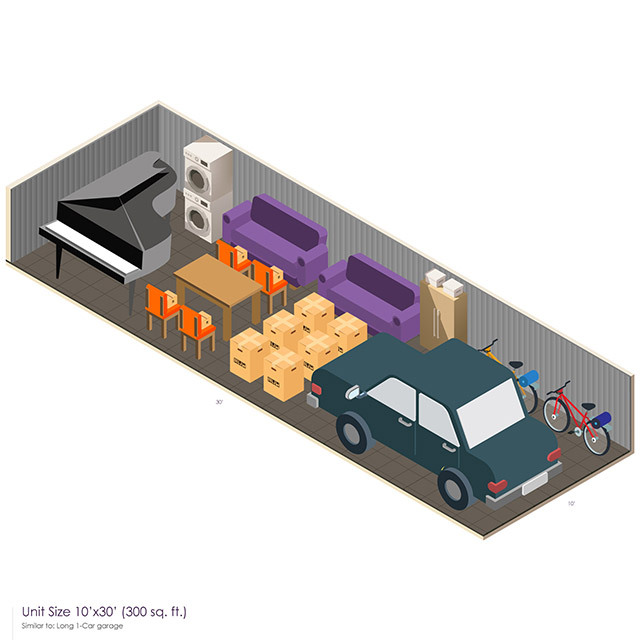 Sizes range from 5x5 foot interior closets to 10x30 foot garages. 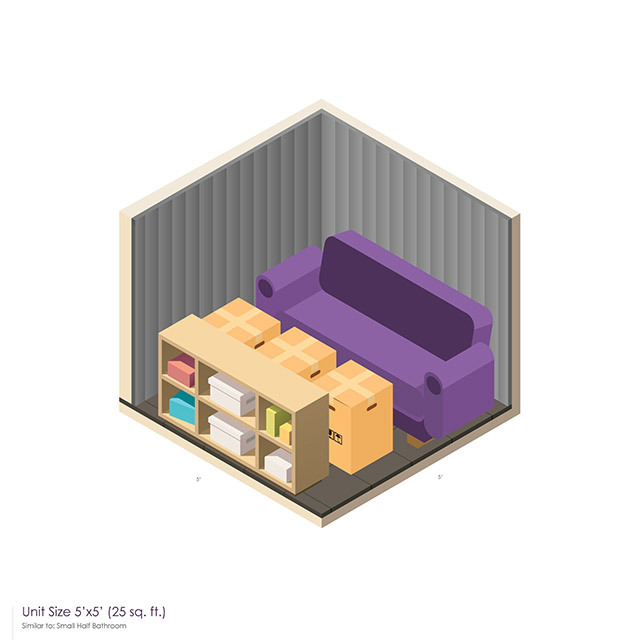 No matter what size you choose, you're the only one that will have the key to your unit.